Yugoslavia having been described at length yesterday, it is Finland‘s turn today to have its full army list disclosed. 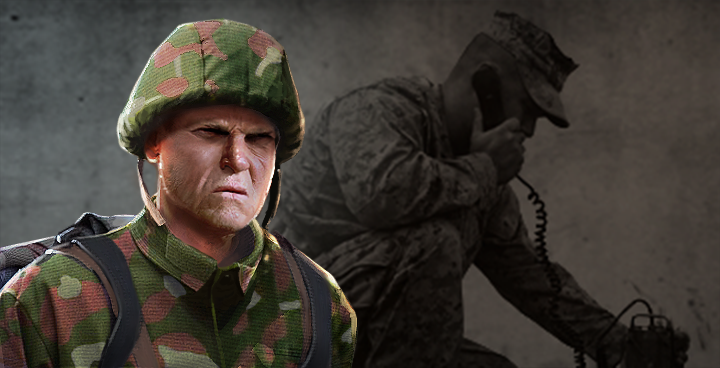 – as each and every country ingame, Finland will have a FOB, the only ingame building, to re-supply & repair friendly units. – Finland’s early cargo truck is the Terra 865BM KPI, a light amphibious truck. From 1985, it can also count on the heavier SA-150 KPI to haul more supplies. – the FDF also uses the ubiquitous Mi-8 as cargo helicopter, under the designation Mi-8P KPI. – the Finnish command jeep, is the antiquated GAZ-69 KOPA, ancestor to the usual UAZ-469! 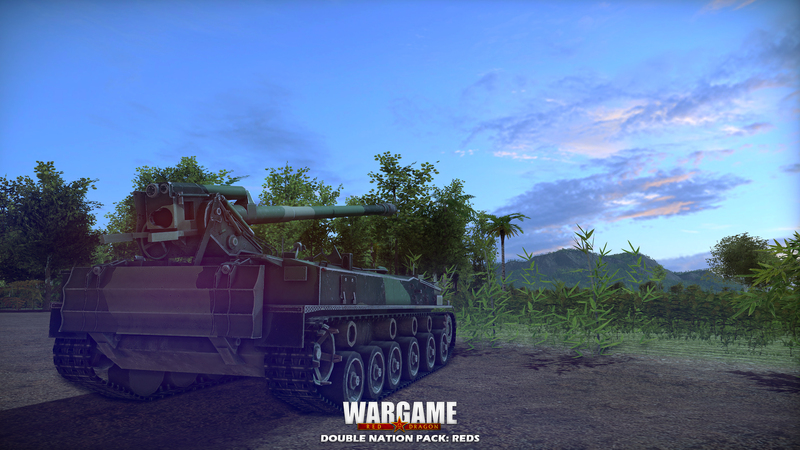 – as can be expected from Sisu Pasi‘s home country, the main wheeled armored command vehicle is the XA-180 KOPA. – regarding tracked vehicles, Finland relies on the BTR-50YVI & BMP-1K KOPA command variants of those respective APC & IFV. 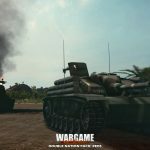 – the FDF fields two command MBTs: the classic T-55A KOPA and the T-72 KOPA. – Finland will get a Mi-4 KOPA as a command helicopter. 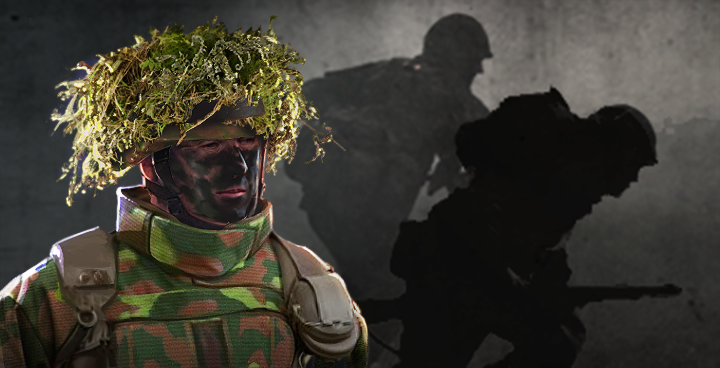 – and finally, the FDF will have a 5-men infantry command squad, named Komentojoukkue. – Finland maintains a strong reserve force to supplement the regular army in case of war, the Nostoväki. In Wargame, they’ll come armed with WW2 leftovers M/39 rifle (= Soviet Mosin-Nagant) and the national trademark Lahti 20mm anti-tank rifle. This, unlike other reserve units ingame which all are considered rifle squads, Finnish ones will be classified as FIST teams. – the Jääkäri (coming in two variants) are the regular FDF riflemen, available in all decks but Marine. – the 2-men MANPAD teams will take the form first of the ITO 78 (= Strela-2) and ITO 86M (= Igla-N), the latter being the naval version of the Igla with a bigger warhead. – Finland doesn’t have infantry ATGM in early game, thus is granted a FIST squad (aside from the particular case of the Nostoväki) in the form of the Raskassinkoryhmä, armed with 95 S 58-61 RCL, more commonly known as “Musti“. – ATGM teams from the mid-80’s include the PstOhj 82M (= Konkurs) & prototype PstOhj 94 (= Spike), the latter being the product of the profitable military cooperation between Israel & Finland. – Finland has two types of shock troops, the first of which are the Pansaarijääkäri (also coming in two variants). 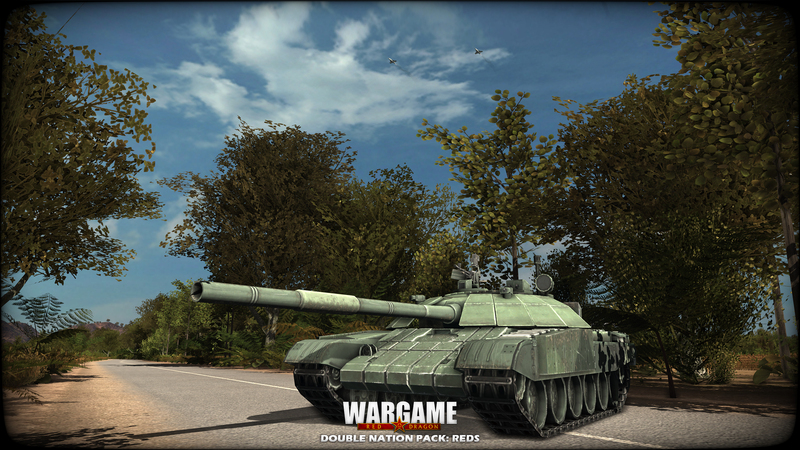 They are the mechanized infantry available in Armored & Mechanized decks. Trained in CQC and armed with more powerful AT weapons, they are a force to reckon with. – and finally, the Rannikkojääkäri are the elite naval commandos, quite similar to their Swedish Kustjagäre counterparts. – the same goes for the last Finnish mortar, the TelaKrH 66, a Soviet ATS-59 tractor mounting the Soltam M-66 160mm super-heavy mortar, already introduced in Wargame with the Israeli Makmat (another product of the Finnish-Israeli cooperation). – Finland’s tube artillery is made of the 122mm PSH 74 (= Soviet 2S1 Gvozdika), the 155mm Telak 84 (= Israeli Sholef, although an earlier, less accurate prototype) and the 152mm TelaK 91 (= Soviet 2S5 Giatsint-S). – Finland’s early SPAAG are quite lackluster, with the ubiquitous ITPSV SU-57-2 (= Soviet ZSU-57-2) & Sergei (= Soviet Ural ZU-23-2). Yet, things improve a lot in the early 90’s, with the introduction of the ITPSV Marksman (= British Marksman turret on a T-55 chassis) & Sergei Mod, a major upgrade turning that mere gun-truck into an ultra-light yet very efficient little SPAAG. – regarding SAM, the FDF can only rely on the classic ITO 79 (= Pact Neva) as early defense. Later on, the ITO 86, a Sisu truck armed with two Igla-1 launchers adds some non-radar short-range cover. – it is only in the early 90’s that Finnish SAMs improve greatly, with the acquisition of the ITO 90 (= French Crotale NG on a XA-185 chassis) and ITO 96 (= Soviet Buk-M). – Finland supplements its tube artillery with several MLRS: the RAKH 76 (= Soviet BM-21 Grad), RAKH 89 (= CSSR RM-70) & RAKH 91 (= Soviet BM-27 Uragan). Respectively loaded with cluster, napalm & HE rockets. – no PT-76B or T-34/85 for once as light tank, but the more original British Charioteer tank, mounting a 90mm on the WW2-era Cromwell chassis. – the only early MBT available to Finland is the classic T-55A, later improved with modern and very efficient FCS as the T-55A Matti. – Finland only acquired import T-72M1 from 1984, and immediately set up to work on local upgrades. The first of which was the T-72M1PÄIV focusing on motorization, optics & fire control. – the last phase of the modernization program never took place IRL, with the end of the Cold War. The prototype T-72M1MOD was meant to include a major armor package, including reactive armor. 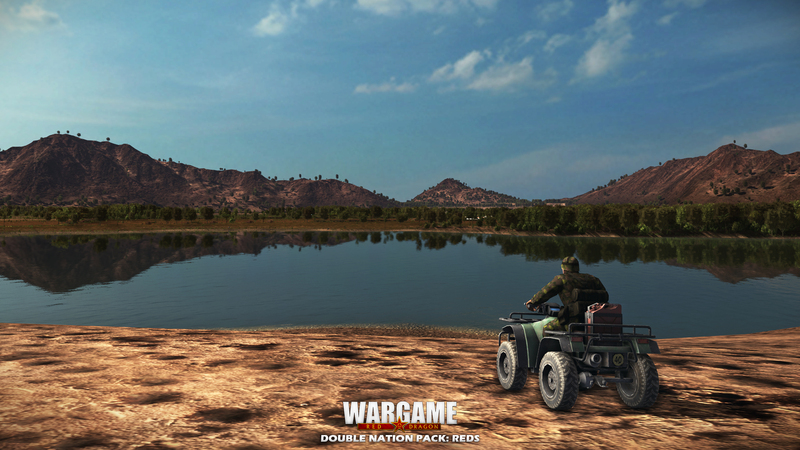 – just like many nations in Wargame, Finland fields an unarmed jeep as basic recon vehicle, here the obsolete GAZ-69A. Yet, it is somehow replaced later by the Mönkijä, an ATV rider combining stealth & speed … yet very fragile. – unlike other nations, the FDF doesn’t have wheeled armored recon, but has converted several IFV into “combat recon” vehicles. 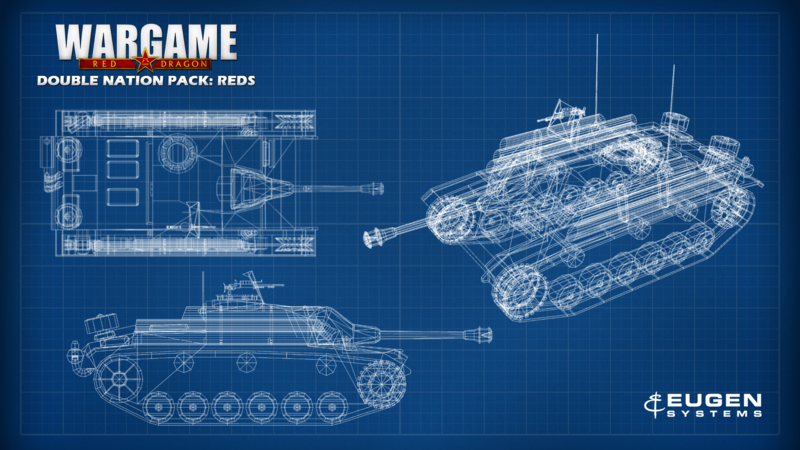 First, the BMP-1 TJJ, which is a regular BMP-1 (with Konkurs) in a recon role, then the prototype BMP-1KT, replacing the BMP‘s standard turret by a new one armed with a Bushmaster II 30mm chaingun. – Finland also fields two recon MBTs: the PT-76B Tiedpsv and the T-55M Pionpsv, a dedicated T-55A Matti for engineers attached to recon troops. – long-range recon has always been a trademark of Finnish scouts, and are represented ingame with the Sissi shock recon. Armed with the deadly Suomi KP SMG, Dragunov sniper rifle & short-range but powerful Raikka RPG, they are perfect to hunt woods for enemy valuable assets. – Finland other recon squads are the elite Erikoisrajajääkäri special forces. Equipped with both APILAS & Igla-N, as well as Jatimatic SMG for close encounters, they are best used as “mines” behind enemy lines, if possible on its reinforcement lines, for they can engage any target sent their way, including planes. – the FDF’s lightest anti-tank vehicles are the Terra Musti, a Terra 865BM amphibious truck mounting a Musti RCL on its flatbed, and the UAZ PstOhj (= Soviet UAZ-469 Fagot-M). – heavier, armored missile carriers include the early BTR-50 Vigilant armed with two British Vigilant launcher, the XA-180 Pstpsajon armed with a single I-TOW launcher and the XA-185 Pstpsajon mounting a dedicated 4-tube TOW-2 launcher. – as fire support vehicles, Finland gets its iconic Sturmi: a WW2 German StuG IIIG with wood logs strapped on its flanks for extra armor. – the main transport truck of the FDF is the Soviet ZIL-157. – the Finnish “battle taxi”, also used by the reserve troops, is the Soviet BTR-50, but troops are more commonly transported in wheeled APCs such as the Soviet BTR-60PB or indigenous XA-180. 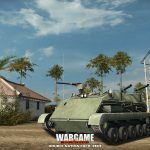 – Finland never was short of idea to turn its wheeled APC into custom IFVs, with the XA-185KT replacing the roof MG with a full-fledged Bushmaster II turret with a 30mm chaingun. The Kaartinjääkäri also have their own set of upgunned transport, with the XA-180 Musti (armed with a RCL) & XA-185 KRKK (armed with an AGS-17 grenade-launcher) providing them with the heavy weaponry the squads lack. – finally, the FDF’s Pansarijääkäri ride into battle with BMP-1 (ATGM-less “vanilla” variant) & BMP-2 (ATGM-less obr. 86 variant). – the Finnish HELO tab is somehow limited, with Finland never fielding a large helicopter force. Transport ones include the Soviet Mi-8P (armed with a single MG only) & French Super Puma (same weaponry). 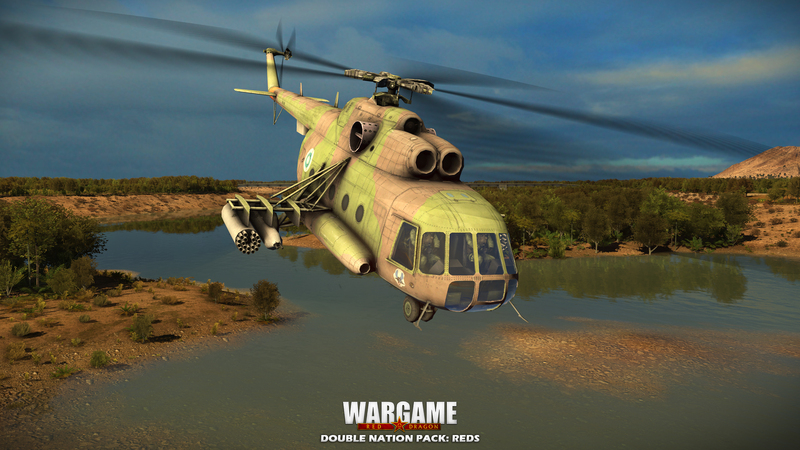 – lacking Mi-24 (or Cobra), FDF gunships are Mi-8s on which planes’ pods have been hurriedly bolted on: the ubiquitous Mi-8T used in a close support role, and the Mi-8T KT, fitted with 40x 80mm rockets and two gun pods with twin-23mm autocannons. – the only light attack aircraft available to Finland is the HH-10, a TOW Defender armed with TOW-2. – being restricted in its arsenal by the Treaty of Paris, the Finnish Air Force (FAF) relies on a huge number of trainer planes to be turned into light bombers should the need arise. The first one if the CM.170 (= French Fouga Magister) armed with two AS.11 missiles, the air-to-ground variant of the SS.11. Cheap, slow and lacking any ECM, they are better used in pairs with few hopes to recover both of them … yet they provide early FAF with some measure of AGM capacity. – the other trainer/light bomber plane is the Hawk 51 (= British Hawker Siddeley Hawk) with iron bombs & short-range A2A missiles. It can be considered as a faster counterpart to the CSSR L-39ZA Albatros. 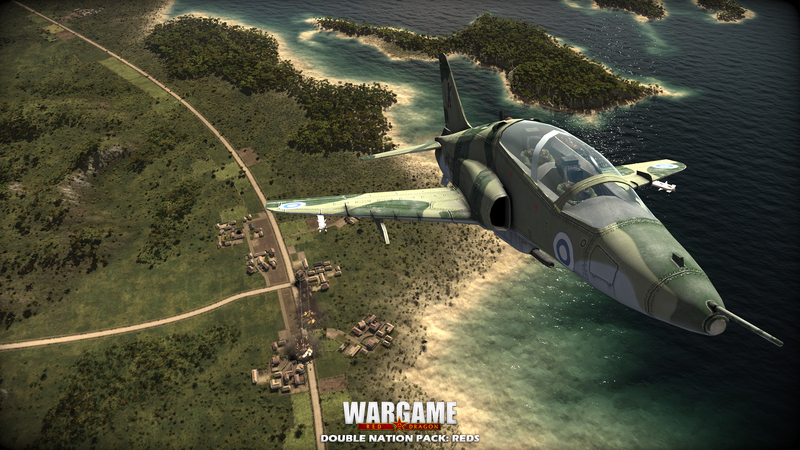 – but Finland doesn’t rely only on light bombers, with the Avia 28 (= Soviet IL-28, ingame as N-Korean B-5) providing the heavy pounding with a single 1,5t bomb. – the FAF also has Swedish planes at its disposal, with no less than three Draken variants: J 35S as early ASF, J 35F as napalm bomber & J 35FS as multirole fighter with heavy 135mm rockets & A2A missiles. – one can’t be a REDFOR nation without its mandatory MiG-21: in Finland’s case, it includes the MiG-21F-13 CAS aircraft with rocket pods & MiG-21Bis ASF. – by the late 80’s, the FAF was looking for modern replacements for its air superiority fighters. As a measure of Realpolitik, policy makers wanted to buy as many planes from the West than from the East. The contenders were the the F-16, soon replaced by the F-18 for the former, MiG-29 for the latter. In the end, with the collapse of the Eastern Bloc, Finland only bought the F-18 in 1993. In Wargame, we have stuck to the original plan and given the FAF both planes: both long-range ASF, MiG-29 will have a very light loadout (hence cheaper) to be called as a “sniper” against a dedicated target, while the F-18 will be the “missile train” (hence more expensive) to be called to dominate or clear the sky from many opponents. Please add Greece and Turkey next time,nice update btw.